This ranch is ready for you and your livestock! 416 m/l acres offers a variety of improved grasses for cattle or horses and mature hardwoods for hunting and recreation. Beautiful custom built home with pool, large insulated shop with overhead doors and finished living quarters. A huge spring provides water for the homes and the livestock. Also an additional brick home. 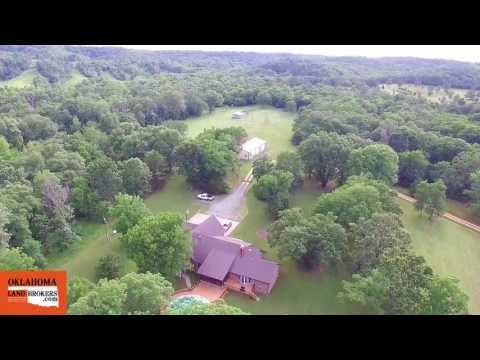 This property is situated close to beautiful Illinois River!